Post-traumatic stress disorder, or PTSD, is an anxiety disorder that is triggered by an extremely distressing event. Perhaps most often thought of in the context of recurring anxiety in soldiers returning from war, PTSD actually affects people from nearly every walk of life and can be triggered by any highly stressful situation. Experiences that may cause PTSD include natural disasters, war, car accidents, terrorism, sexual abuse, or violence -- personal or witnessed. To have a diagnosis of PTSD, you must also have symptoms from each of three symptom clusters. The new DSM-V will be released in mid-2013 and the revisions may make some minor changes to the diagnostic criteria. PTSD symptoms vary from one sufferer to another. These symptoms are divided into three category clusters. Scientists have found a gene that may be associated with PTSD. This is early research, but it may lead to more information about how and why some people develop this condition after traumas. Among the most common sources of PTSD is combat. Veterans returning from active duty in a war have obviously seen or been involved in a variety of violent, life threatening situations. Post-traumatic stress disorder, while only referred to by its modern name since 1980, has been recognized in combat veterans for much longer. Called by a variety of names throughout history, PTSD symptoms have been documented as far back as the Civil War in American soldiers, when the condition was known as soldier's heart. Since then, it has been called by many names such as shell shock, battle fatigue, post-Vietnam syndrome, and gross stress reaction. The symptoms have been noted in up to thirty percent of soldiers who have returned from every war. Approximately seven to eight percent of the United States population will develop PTSD during their lifetime. Those at risk for PTSD include people who are the victim of, or witness to, violent crime, survivors of natural disasters or terrorist attacks, and victims of domestic or sexual abuse. Children exposed to community violence are at high risk for PTSD. Traumatic experiences such as auto accidents, plane crashes, medical emergencies, or any other event perceived as life-threatening to an individual or their loved ones can also trigger this disorder. 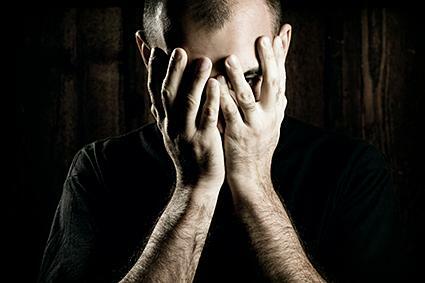 Many of these symptoms are perfectly reasonable reactions to trauma, but the duration is the key to determining whether the typical shock after an event has progressed to the more serious condition of PTSD. If feelings of fear, helplessness, and anxiety persist long after the fact, or become worse, this may indicate that PTSD has developed. At this point, sufferers should seek diagnosis and treatment. PTSD is often a progressive disorder. Not only is it unlikely to go away on its own, but if left untreated, the symptoms can become much worse as time goes on. Untreated PTSD can be very debilitating, interfering with day-to-day life in a number of ways. PTSD sufferers can find themselves unable to maintain employment and family relationships. Suicidal thoughts and self-destructive behaviors are common. Irrational anger stemming from the disorder can cause sufferers to act out violently, hurting those around them. On the bright side, catching PTSD early can prevent many of these more alarming symptoms, and treatment is more advanced and effective than ever before. The prevalence of PTSD in Vietnam veterans led to a flurry of research on the disorder and the development of a variety of treatment options. Sertraline (Zoloft) and paroxetine (Paxil) are two antidepressants that have been approved by the FDA to treat PTSD. Psychotherapy has proven very effective in helping sufferers manage and alleviate symptoms. In cognitive behavioral therapy, you learn strategies to cope with your feelings. Stress management therapy may also be of benefit so that you can manage related stress or anxiety. Often both medication and therapy are combined to get the best results. The most important thing to remember for those who suspect that they or a loved one may be suffering the effects of post-traumatic stress disorder is that help is available. Despite common misconceptions, everyone can't simply "get on with their lives" after an incident that has caused terror and distress. There is no shame in reaching out for help if the situation has grown beyond your control. Remember getting help is the responsible thing to do for yourself and your loved ones; this allows all involved to recover the security and quality of life that has been lost because of PTSD.